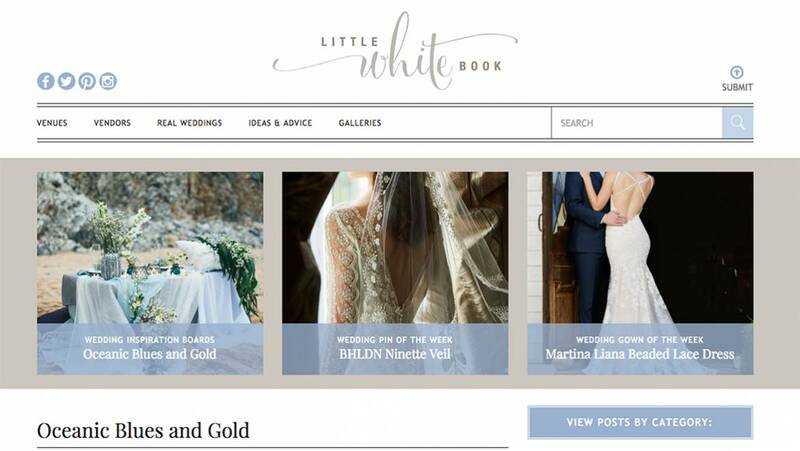 Little White Book is a fresh, go-to wedding resource for the modern bride. We feature a carefully curated collection of unique real weddings from exceptionally talented vendors alongside planning articles, expert advice, photo galleries, and an unparalleled nationwide directory of the top wedding venues and their recommended vendors. Our comprehensive venue directory features the very best properties across the US and Canada, and each venue listing includes recommended top vendor talent in that area. Our in-house wedding expert shares her weekly picks for wedding gowns, color trends, and more. On the blog and in our photo galleries, we feature unique and inspiring real weddings from style savvy brides and the industry’s top talent. We go right to the source for planning tips and tools, curating ideas and advice from experts who are regularly on the scene in this high paced, ever-changing industry.